Stone Interiors began operation in July of 1997. The owners have over 63 years of experience in Stone fabrication and the flooring distribution business. Stone Interiors started with 7,000 square feet and has grown to 41,000 square feet. We have now expertly installed over 20,000 jobs. The rapid expansion of our company is attributed to the growing demand for natural stone, and our commitment to provide a quality product with exceptional service and value. 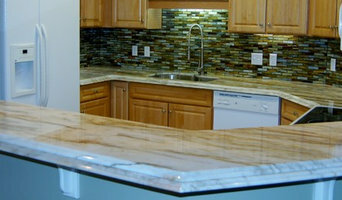 We specialize in granite and marble fabrication and installation. We also have quartz fabrication available, including siltstone, caesarstone, and cambria in south Louisiana. We boast digital measuring saw jet/cnc fabrication and 4 installation crews to deliver the best final result possible. Multi-year winner houzz Customer Service Award. Custom fabricator and installer of natural stone and quartz products for countertops, floors, walls, and ceilings. Constantly pursuing working relationships with the area's finer clients, designers, decorators, and contractors. Family owned and operated for over 50 years. Specializing in everything from custom to small remodel jobs. As a premier remodeling company in New Orleans, LA and Baton Rouge, LA, since 2005, we are dedicated to providing top notch service. We aim to deliver unparalleled workmanship every time. We offer a wide range of services to meet your project needs and ensure durable and cost effective workmanship. Installing and fabricating all natural stone and engineered material Servicing South Louisiana with quality work, Insuring our clientele their projects big and small are our top concern. Counter tops to vanities, fire places, custom showers and tile work. We are also known for intricate edge details and book matching. Here at Creativeedgeworks, we are here to service the needs and wants of our customer's. The Trainque Group LLC is a custom hands on general contractor that specializes In Renovations and new home construction. We take pride in restoring original New Orleans houses and making them homes for generations to come. From siding replacement and exterior painting to kitchen, interior and bath renovations we can make your dreams a reality. Counter Intelligence, Picayune, MS, is a locally owned and operated natural stone fabrication and installation company. We specialize in a variety of custom stone slab work including granite and marble countertops, marble vanities, tub decks, shower surrounds, and fireplace surrounds. We have a large selection of granite and marble slabs; discounted granite and marble is also offered on-site through our remnant section. In addition to our natural stone fabrication and installation, Counter Intelligence, Picayune, MS also offers a wide variety of tile services for the home or office including kitchen tile, bathroom tile, countertop back splashes, entry ways, and other inside and outside decorative tiles. • Ceramic or Porcelain Tile - Install and Repair • Vinyl or Linoleum Tile - Install and Repair • Natural Stone Tile - Install and Repair Counter Intelligence, Picayune, MS provides free estimates, competitive pricing, top-quality granite and marble, and excellent customer service. Call (985) 261-229 to speak with a Counter Intelligence natural stone fabrication and installation specialist today. 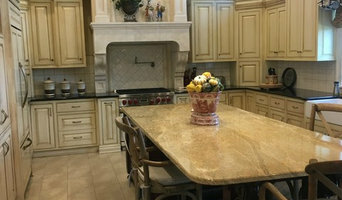 Crescent City Countertops is an advanced stone fabrication facility run by a team of stone experts with over 30 years experience in southern Louisiana. No matter how big or small the job is, we guarantee that we will be there for you from start to finish. Our inventory provides a large selection of colors and styles to ensure that each customer finds the stone that is right for them. We’re committed to providing you with the highest level of service, so you’ll always choose us for your outdoor needs.We know that remodeling, even your outdoor space, upsets your life and is not fun or convenient. So, we want make the process as easy and enjoyable as possible for you. We genuinely care about your project and your experience, and it shows. 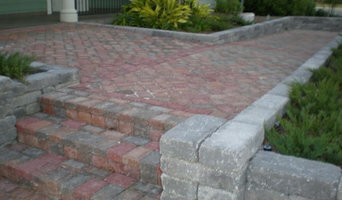 Mudbug Pavers and Awnings of Louisiana is the leader of the segmental paver industry in the Central Gulf South, including; Greater New Orleans area, Greater Baton Rouge area, All of St. Tamany, and Greater Lafayette area. Our professional team of ICPI certified specialists will craft your outdoor living environment with expert design! If you're inspired to restore and customize your outdoor living area AND increase the value of your home, then look no further! Our mission is to make your ideas a reality! Concordia Group's award winning professionals will work with you to renovate or build a custom built home. Having completed hundreds of remodeling and historic restoration projects. We have the experience to make your project a success by maximizing the value of your property by providing quality design along with cost saving ideas. We are responsible from start to finish. Performance Tile and Marble Company, owned and operated by husband and wife team Todd and Gina Duhe, is a full service showroom. But unlike others, you won’t find a high-pressure sales staff. What you will find is some of the most knowledgeable people in the industry. Todd has devoted most of his life to this business and has made it his mission through the years to learn all aspects of proper installation. If you’re looking for Todd, chances are you won’t find him sitting at his desk. He spends the majority of his time in the field, meeting with his customers and dropping in on jobs in progress. Whether a job is as small as a bath remodel, or as large as a hotel casino, Todd reviews all aspects of the job prior to its commencement in an effort to eliminate field problems that slow progress. "Bluejay is a small and motivated business specializing in custom quartz, marble , soapstone, and granite countertops in the states of Louisiana and Mississippi . We are licensed, insured, and utilize the latest technology to produce beautiful stone products. Founded in 2014, we have always strived to deliver an exceptional experience for our customers - no matter the size of their project (or budget). Our passion and knowledge for natural and engineered stone allows us to take our customers through every step of the process, from stone selection to post-installation inspection." R&R Construction Services offers total general contractor services on both the Northshore and the Southshore of Lake Pontchartrain, as well as the Baton Rouge area. No job is too big or too small. From simple repairs of commercial and residential structures to full scale remodels and renovations to additions and new construction; we can handle your project on time and on budget, exactly to your specifications. With over 40 years of commercial and residential construction experience, our hands-on approach, organized planning schedule of labor and materials, a choice of cost-plus or project cost job contract, and excellence in construction site maintenance takes the headache out of any construction project you may have. With R&R Construction Services, you can expect to receive a quality designed and constructed job, as well as efficiency and affordability in all aspects of the job.